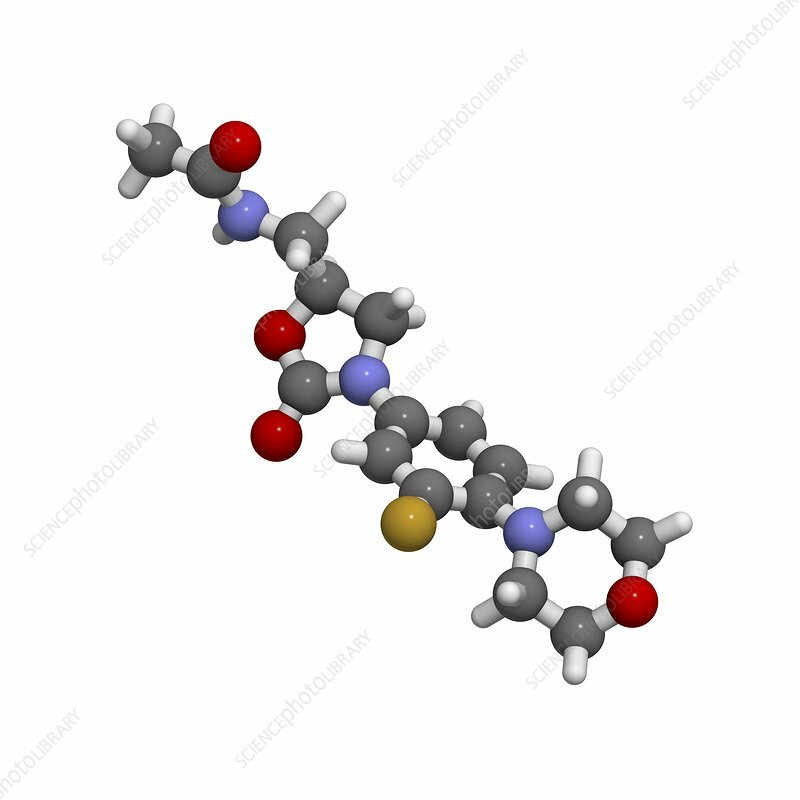 Linezolid antibiotic molecule. This synthetic antibiotic is used to treat infections that have become resistant to other antibiotics. Atoms are represented as spheres and are colour-coded: hydrogen (white), carbon (grey), oxygen (red), nitrogen (blue), sulphur (yellow).